Bolton born vocalist and producer Chrystal is back with her latest co-production with Nao and Bonzai co-conspirator John Calvert. 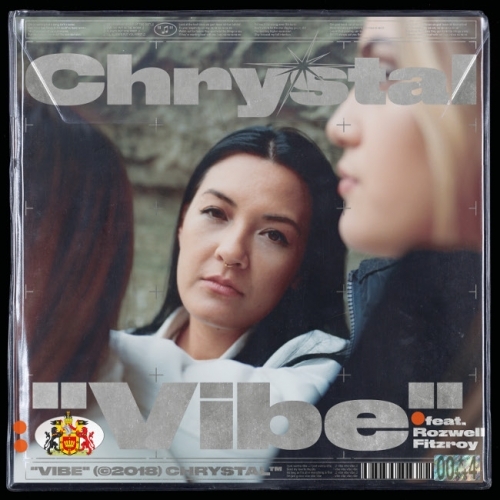 Released today, Vibe sees Chrystal enlisting the help of rising Virginia rapper Rozwell Fitzroy on this joyous affair, whose sparkling verse adds an extra pop to Chrystal’s smooth bubblegum flow. Driven by an infectious guitar motif and blending glossy, glowing garage loops with powerful pop hooks, Vibe is bound to feature on this Friday's new release programming, as well as continued radio support from DJ Target, Toddla T and Mistajam. Previous single and Record of the Day, 2 Real, was picked up by fashion outlet Boohoo for an advert and has been sampled by Hoodie Allen recently on his track Operation (over 400k plays). Her other singles, Waves and New Shoes, have garnered praise from the likes of the Line of Best Fit, Fader, i-D, and Trench, plus airplay on Beats 1 and 1Xtra. Chrystal is an exciting new prospect in pop who is steadily forging her own authentic sound and distinct space within the British musical landscape. One to watch.